Counter Strike Global Offensive can be a difficult game to rank up in due to the fact you rely on four other team-mates, and not just your own performance. The term ELO hell exists for a reason - it gets harder to rank up when your performance improves but are still at a low rank with bad teammates. Hence, you may want to purchase a CSGO account of higher ranking to play at your actual level. Or perhaps you no longer have access to your previous account, whatever the reason, you are welcome to purchase an account here at Acckings! When you are looking to buy CSGO accounts, you're going to want to browse the account. With Acckings we'll provide you the exact details you need, including skins. Acckings also offers you a guarantee, please ensure to read our buyers policy and insurance we offer. If somehow your account gets recovered (exceedingly rare), we will typically issue you a refund. You can get any type of CSGO account, from unranked and competitive ready to a silver smurf all the way up to Global Elite, as long as we've got it in stock! Acckings will provide you an account from a vetted sell or hand-trained from us, minimising any sort of risk that is prevalent with other sellers. Furthermore, we accept many different payment methods when you're looking to buy CSGO accounts: PayPal (credit/debit), Skrill, Bitcoin (and other crypto), Western Union and many more! If your looking to buy csgo accounts you have came to the right place. 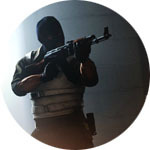 Above you will find some of the cheapest CSGO accounts on the entire market at bargain prices. We jump through hoops so that you don't have to when buying csgo accounts. We try our best to make the process the simplest it can be so that you walk away with a safe csgo account in your possession with no issues. If you ever have any questions regarding buying CSGO accounts please contact our 24/7 support team through livechat, email or ticket support.